Whether you’re struggling with sagging skin or tired of wrinkles, a new noninvasive treatment can help you enjoy tighter, firmer skin. At EVO Aesthetic Center and Wellness Spa in Lakeway, Texas, the team of aesthetic experts offer SkinTyte, a procedure that results in younger looking skin. Start your journey to firmer, more youthful-looking skin by scheduling a consultation for a SkinTyte treatment today, or book your appointment online. How does SkinTyte skin tightening work? SkinTyte offers a technologically advanced method of performing the treatment of skin laxity using a safe and effective approach. SkinTyte uses infared light energy and advanced skin cooling technology to increase tissue tightening and reduce loose skin. By promoting the partial denaturation and contraction of collagen, SkinTyte stimulates the natural healing process of the body to produce a new, firmer collagen base leading the skin tightening. After your SkinTyte treatment, you’ll have vibrant, rejuvenated, and more youthful-looking skin. What conditions can a SkinTyte treatment improve? SkinTyte treatments are fast, safe, and require zero downtime; you can return to work or your normal activities immediately after treatment. Because they use infared light instead of more painful techniques to reduce skin laxity, SkinTyte treatments are a convenient way to get healthier, firmer skin. 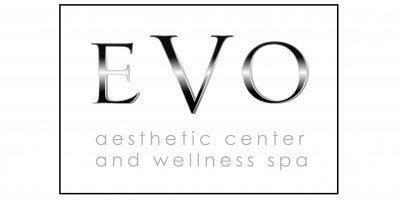 Call EVO Aesthetic Center and Wellness Spa to schedule your SkinTyte treatment today, or book an appointment online.